"Daesh is using boats and ferries to transport weapons and fighters. Do not use ferries or boats, airstrikes are coming." "They tell people ... It is a Battle against Islam, all nations are attacking us and the Prophet says e should be united." "They are putting psychological pressure on residents." "I've seen the pictures on the Internet and the control and operations room had been fully burned, which means there is no control of the water coming into the dam." "This will lead to a real catastrophe, because there is no way from inside the dam to get rid of the water. The situation will escalate because as more cubic metres come in, the situation becomes more dangerous." "We need someone to interfere to stop this catastrophe, because water will overcome the dam and we don't know what we could do and how many days it would take to collapse - people living along there along the Euphrates are in danger." The danger of the Tahqa Dam collapsing appears entirely plausible. The dam which supplies the entire region with electricity has been vulnerable to collapse through shoddy design and workmanship for a lengthy period of time. Before the outbreak of civil war in Syria, the dam's engineers took great care in its upkeep and stabilizing work pouring tons of cement into the bulwarks, required on an ongoing basis, since neglected when Islamic State took possession of the dam for the last two years. Now, water levels have risen to the extent of threatening collapse, since area fighting put the dam out of service. ISIL itself took the precaution of ordering residents of Tabqa and Raqqa to leave, informing them that U.S. airstrikes was responsible for the vulnerability of the dam to imminent collapse. 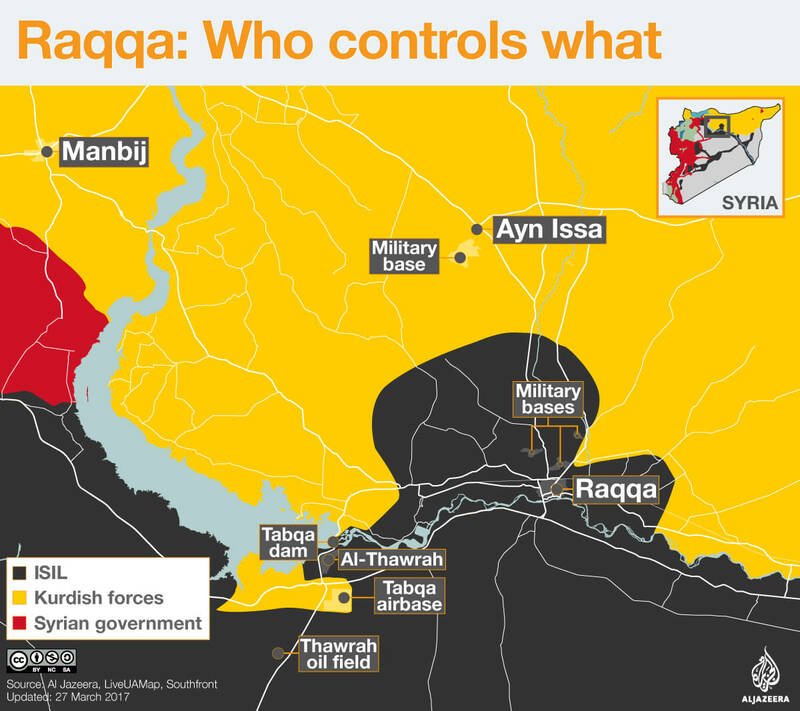 According to the United Nations, damage to the dam could lead to "massive scale flooding" inundating Raqqa and downstream cities. Haytham Bakkour who operated the dam for a decade as an accredited dam engineer, warned that a "critical overflow" could occur within 30 days if the area was not made safe for staff to enter and work on manoeuvring the floodgates. Which makes the SDF forces assault against Raqqa all the more desperate. The prevailing situation of ISIL defences are formidable, however, given that landmines and militant checkpoints encircle the city, and within the city itself hundreds of thousands of residents are trapped, useful to Islamic State as a human shield and detaining the opposition forces from a full-on invasion. All males were ordered to wear the traditional ISIL clothing, making it impossible to distinguish civilians from the jihadis. Thousands of Syrians who had left other areas in Syria for Raqqa live in the streets, in tents, hapless targets of airstrikes as well as any ground fighting. ISIL has erected immense tarpaulins, stretched over city blocks as aerial screens, to shield their activities from air reconnaissance. It is inevitable that civilians will be struck by U.S.-led coalition airstrikes. Fear arises among civilians, never knowing whether a strike will hit them, and knowing that ISIL is on the lookout for "spies" among them. Most European fighters with ISIL have been evacuated, dispatched to the east, deeper in more securely held ISIL territory. The theory is that their value lies in returning back to the European and North American countries from where they originated, to infiltrat as ticking time bombs. Local reinforcements are on track to arrive in Raqqa from Mosul and parts of Iraq, to defend Raqqa, Islamic State's so-called capital. An estimated four thousand ISIL fighters are in Raqqa, with an expected additional two thousand on the way. Those in Raqqa have begun to shelter themselves among the civilian residents. And the residents have been deployed to dig trenches and build earthen berms in defence of the city. There is no shortage of food yet, while hospitals have few doctors left and equipment and medications are in short supply. Loudspeakers have been mounted on mosques and vehicles for the religious police to warn the estimated 300,000 Raqqa residents that the battle is approaching. "[Navalny along with other leaders of the weekend protests across Russia were guilty of a] provocation [and of] offering certain rewards [to schoolchildren to become involved in the protests]." 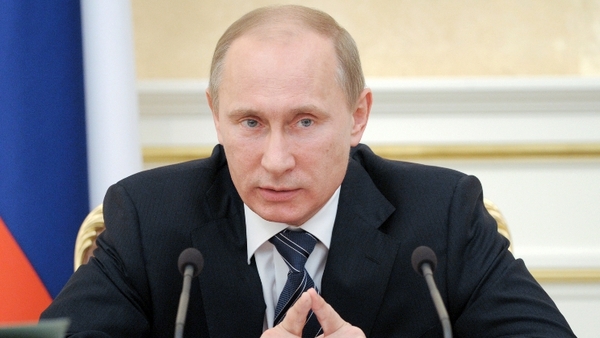 "The Kremlin respects people's civic stance and their right to voice their position. We can't express the same respect to those who consciously misled people and who consciously did it yesterday and provoked illegal actions." "You can't detain tens of thousands of people. Yesterday we saw the authorities can only go so far." "A time will come when we'll put them [government officials in Vladimir Putin's administration] on trial too -- and that time it will be fair." He hasn't yet been marked for assassination; perhaps it is for the time being a mere matter of time. He is not an oligarch, so he cannot have his vast financial holdings confiscated and turned over to the Kremlin to dispose of at the behest of the president. He has not yet been charged with offences so egregious as to merit a very long prison sentence in a federal institution that will keep him out of commission for a very long time. 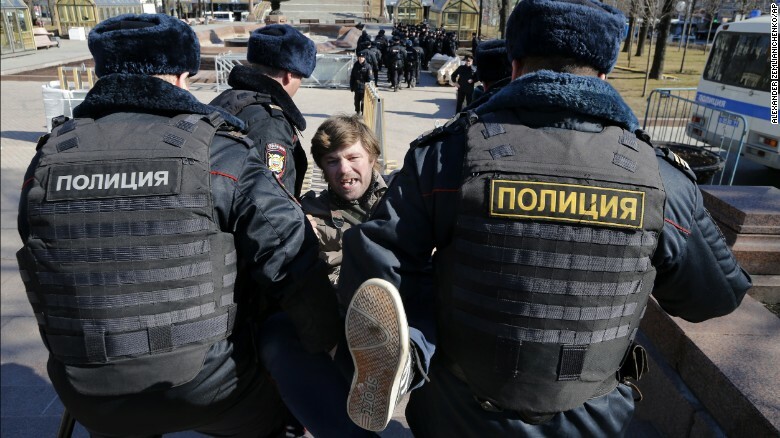 Just fifteen days in prison for disobeying a police officer in central Moscow at a rally he was hugely instrumental in planning and coordinating. And a fine of 20,000 rubles for proceeding with the organizing of a clearly 'illegal' demonstration, unsanctioned by the government. Dmitry Peskov claims the Kremlin respects Russians' civil rights to protest. That 'right' is so respected that a required permit to allow such a demonstration to proceed would not be granted, making it an illegal activity for which a thousand people were arrested. In 2012 when Russians came out in their thousands to protest Mr. Putin's election machinations calling on him to resign, the Kremlin had arranged for counter-protests to take place, strong-arming people to come out to show their support for Vladimir Putin. At that time it was basically a Moscow-only campaign when knowledgeable, middle-class, educated Muscovites expressed their anger at Putin's designs for Russia's future under his ongoing aegis. The protests were assigned the status of being unrepresentative of Russians outside Moscow. Now, however, in 2017, the spread of the protest movement is undeniable; it was not only the capital's boulevards and squares that were packed with protests, representing a metropolitan elite. This time demonstrations took place in 82 cities, where the regional capitals of places like Nizhny, Novgorod, Novosibirsk, Yekaterinburg and Vladivostok saw crowds of thousands organized not by those in control from Moscow, but by local organizers committed to the same anti-corruption movement as those from Moscow. There can be little doubt that the evidence amassed by Mr. Navalny with the help of drone videos that showed a renovated 18th Century manor with a duck pond and accompanying duck house catering to the whims and pleasures of Prime Minister Dmitry Medvedev invoked anger from Russians experiencing financial hardships in the faltering economy. Russians are outraged that their officials live in opulent luxury while they attempt to muddle by. But of course, during the days of the USSR, Russian notables had their big, expensive imported luxury cars and their country dachas. 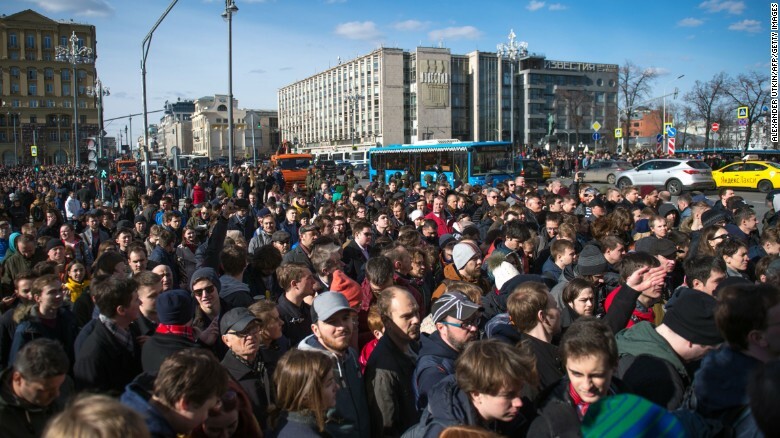 And it's not just middle-aged grumps who have been demonstrating against corruption, but the young as well, those in their 20s, and teenagers appeared on Pushkin Square and other cities this past Sunday. The unemployed, struggling through the recession and seeing no opportunities for their futures. Navalny spoke for all of them at his Monday court appearance, calling for Medvedev to explain the corruption that had people so enraged. It seems Vladimir Putin has been so busy on the international stage he hasn't had time nor the inclination to have a good look around at home to get a sense of the brooding public, resentful of where their president's choices in adventurism has taken the country. From intervention in Ukraine and interfacing with NATO and the European Union, struggling with the crippling Crimea economic sanctions and faltering oil prices, and the Russian military presence in Syria and the impact on the Russian economy. It's a long distance from the spendthrift days of the Sochi Winter Olympics in 2014, and the adulation heaped on Putin for bringing the world to Russia's feet. The billions in corrupt payoffs and opportunities to Putin cronies can't have helped an already faltering economy, and the vast financial investment Mr. Putin and the Kremlin committed to in rebuilding the Russian military's upgraded state-of-the-art munitions took place at a time when Russia's income had already dwindled dangerously. This is simply Moscow's ducks leaving their placid lakes and coming home to roost on the roof of the Kremlin. "Hamas could decide that Fuqaha was assassinated by Israel and retaliate, and then we will retaliate to the retaliation and we could be in another clash very quickly." "We will make the enemy regret the day that he thought he could begin [to carry out assassinations]." "We swear to God, our Muslim nation and our people, that the enemy will pay a price for this crime that is equal in size to the assassination of our martyr leader. He who plays with fire will be burned by it." "It is possible to prevent the next round of violence in the Gaza Strip. The reality of life in Gaza is very harsh. Hamas is trapped in a dead end and trying to break out of it. Right now, life in Gaza is just about intolerable. Instead of waiting for the next round, which will end with new understandings, I would recommend sitting down today to see what can be done to create some kind of new horizon, which would be worthwhile to work toward, for Gaza's benefit. It is important to release some pressure and improve the economy." "I couldn't believe it at all. It was a shock. He received death threats all the time since his release in 2011, but he never paid any attention to it." Perhaps he should have paid attention. He might have done well to pay attention when members of Israeli intelligence visited his father repeatedly, to warn his father that his son Mazen Fuqaha was playing a dangerous game. Mr. Fuqaha appears to have been a slow learner. He was involved in plotting violent attacks against Israel, spending nine years in an Israeli prison for planning a variety of suicide bombs killing Israelis. Among the thousand Palestinian prisoners freed in the usual lopsided agreement with Hamas for the release of one Israeli soldier, Gilad Shalit, Fuqaha chose to return to plotting violence on behalf of Hamas against Israel. He had been forbidden to return to the West Bank, so he established himself in the Gaza strip to continue his work for Hamas. And from there he took orders as a Hamas field operative from Turkey-based Salah al-Arouri, a senior commander of Hamas's military wing. Mazen Fuqaha, himself a senior commander of the military wing, managed Hamas's military operations in the West Bank. He had returned from an outing with his family, and was in the garage of his home when he was shot four times in the head from behind by a sharpshooter using a silencer. Although Hamas reacted swiftly, shutting down the entrance to Israel from Gaza, and warning Palestinian fishermen not to go out on their boats, hoping to stop Fuqaha's assassin from leaving Gaza, they failed. That is, if indeed it was Israeli agents who committed the task, and not another Islamist groups with whom Hamas is in conflict in Gaza. 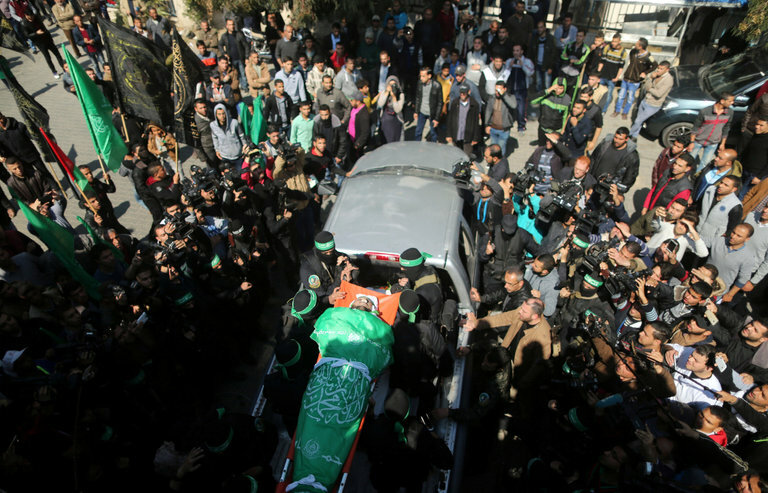 Let alone the possibility that within Hamas itself the man might have had enemies, since it is not unknown for elite Hamas commanders to be killed by opponents within the organization, or by those who suspect a commander of being less than loyal to the Hamas cause of Israel's destruction. Whoever it was who killed Fuqaha, it is acknowledged that he was in possession of intimate details of the man's movements and knew exactly where to find him, when to be there at the right time and place, and how best to dispatch him and to fortuitously leave without being apprehended. Someone with very concise information. So, in their suspicions that this was an Israeli secret operation of startlingly unexpected success, Hamas is now searching for potential betrayers. And Hamas makes quick work of those they suspect of aiding Israel from among Gaza's Palestinians. This has come at an inconvenient time for Hamas. It is not yet interested in another military operation between itself and the IDF. It still has not succeeded in replacing all of the munitions it had lost during the last brief conflict. But it is diligently working on it. No longer quite as able to transport rocket parts through the tunnels leading from Egypt's Sinai through to Gaza, Hamas has taken to designing and producing more powerful, sophisticated rockets of its own. The tension has certainly been ramped up since Hamas closed the civilian border crossing with Israel, leaving Israeli troops on high alert. The Erez crossing represents the checkpoint used on a frequent basis by Gazan Palestinians looking for health care in Israeli hospitals. Aid workers and foreign journalists commonly use the crossing when travelling from Israel into Gaza. The checkpoints that Hamas set up across the strip now seek to discover anyone who might have collaborated with Israel, giving the intelligence required to expedite his death. "The United States strongly condemns the detention of hundreds of peaceful protesters throughout Russia on Sunday." "We were troubled to hear of the arrest of opposition figure Alexei Navalny upon arrival at the demonstration, as well as the police raids on the anti-corruption organization he heads." "Detaining peaceful protesters, human rights observers, and journalists is an affront to core democratic values." "Today we are discussing (and condemning) corruption, not the detentions. Well, I was detained. So what. It OK. There are things in life that are worth being detained for." "[Medvedev has a portfolio of assets including] huge pieces of land in the most sought-after regions, yachts, apartments in old mansions, agricultural complexes and wineries in Russia and abroad, [purchased through] bribes from oligarchs, and state bank loans." "It is pointless to comment on the propagandistic outbursts of a convicted opposition figure, who has already announced he is running some kind of election campaign and fighting against the authorities." Russians gathered in surprising numbers in Moscow and other cities across the country, in support of protests against the government of Vladimir V. Putin and his cronies, whose deep-seated corruption has outraged Russians having to live under economic constraints in a struggling economy where revenues have decreased thanks to diminishing returns for natural resources and the effect of Ukraine-related sanctions by the West biting deeply into the nation's economic prospects. Police set up barricades, responding with tear gas and mass arrests in answer to the protests taking place in cities right across that vast national geography. Riot police wearing body armour and helmets manhandled over a thousand demonstrators in central Moscow alone, hauling them out of crowds estimated at well over ten thousand demonstrators cheering, whistling shouting 'Shame! Shame!" Shame, unfortunately, on the part of authorities, was in short supply. 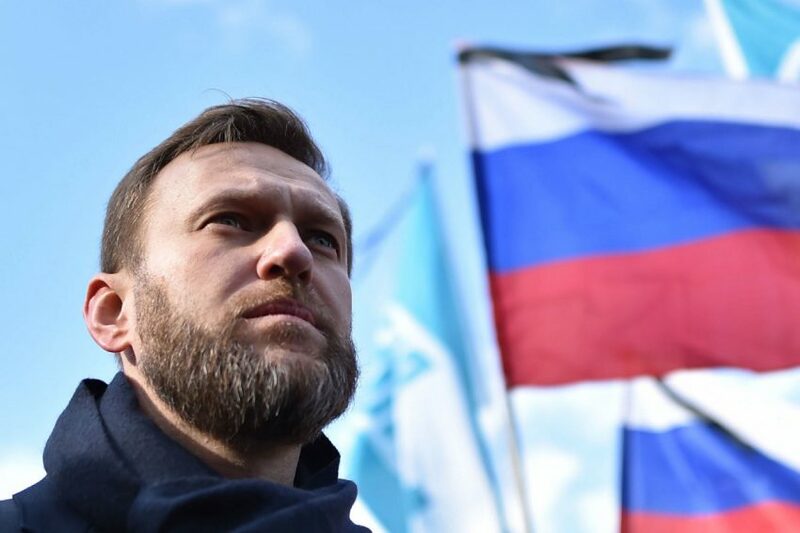 Alexei Navalny, a courageous opponent of the government, was chiefly responsible for the large turnout and the organization behind it. His status as a chief troublemaker for Vladimir Putin places him in dangerous territory. It takes immense courage for Navalny, let alone the protesters who came out in droves, to express their enmity and contempt for their government in light of the very real fact that this government has few scruples when dealing with those it considers threatening to its existence. Prime Minister Dmitry Medvedev, known for his nimble proficiency in playing revolving chairs of President-to-Prime-Minister-and-back-again with Vladimir Putin, was an especial target this time around. Mr. Medvedev had obviously taken his cue from Mr. Putin who had previously spent hundreds of millions in building a palatial palace befitting a czarist-era president-for-life. Mr. Navalny spoke of the prime minister's vineyards, luxury yachts and mansions to a value of over $1-billion. Contracting out assassinations, whether in sight of the Kremlin, of major political opponents, or those who travel abroad to London, or next door to Ukraine, to help the government in Kyiv assemble a slate of actions by the Russian state against its neighbour, can be guaranteed. Mr. Navalny's Anti-corruption Foundation fails to find favour with the Kremlin, quick to charge it with extremism. It is even illegal to broadcast news of the rallies taking place. Pushkin Square and surrounding areas were teeming with protesters; major streets were full of people decrying the corruption of their government. Anyone carrying a sign imputing malevolent motives to the government was ripe for being picked off and shoved into large buses moved onto the scene by police with the obvious intention of arresting as many protesters as possible to deliver the message that the protest was unauthorized. Authorities would "bear no responsibility for any possible negative consequences", stated senior Russian police official Alexander Gorovoi. People who presented themselves at the protests expressing outrage at corruption, were considered fair game for authorities who made it clear that informing people of the rallies and encouraging them to come out to express their grievances was "illegal". Rallies took place across Siberia and in the Far East of Russia where protesters were detained there, as well. Interior Ministry troops wearing combat gear pushed the protesters around while a loudspeaker blared: "You are participants in an unsanctioned demonstration. Consider the consequences." "I would ask him [his father] how we would continue in his absence. He would say: 'I have put up the building. Now you have to paint and decorate it'." "The staff [of his father's humanitarian organization] is sometimes hesitant when they don't know how to use a computer. We're trying to train them. It's a slow process." "Now I'm alone [after his father's death]. I don't feel like leaving his room empty. I still sleep on a cot near his, because that's where I'd slept for the last few years." "He wanted to make Pakistan a social welfare state without participating in politics. That was his dream, and this will be my aim as well; to go from village to village, to make a parallel setup that can help improve people's lives." "In smaller districts, you can find advanced weaponry at local police stations, but when you go to the local hospitals, there's no advanced equipment." "Our ruling class is not ready to give services to the people." "He carries this huge responsibility on his shoulders." "He is upbeat, and with a lot of public support, he can do it." Faisal Edhi is 40, half of his adult life has been spent working for the Edhi Foundation, founded by his father, Abdul Sattar Edhi. Mr. Faisal administers the affairs of the foundation. His father was the foundation. The elder Mr. Edhi died in the past summer but his philanthropic network to which he dedicated his life is a vital part of Pakistani society, outside government. It is the foundation that provides badly needed emergency services and welfare services to the population. It provides what the government makes no effort to do. Pakistan's largest free ambulance service is operated by the Edhi Foundation through a network that also includes shelters, nursing homes, orphanages and morgues. All of which are run by volunteers who appear at disaster zones and crime scenes, hauling along stretchers and shrouds. The cities of Pakistan depend on the functions of the Edhi Foundation. "Without the Edhi Trust one does not know how Karachi would cope with its victims of violence", noted urban planner Arif Hasan, in the 1990s. Now, the massive job inherited from his father has become Faisal Edhi's problem. He is attempting to transition the foundation from a voluntary and antiquated organization into a more efficient, modern one, using updated technology to expedite services and maintain record-keeping. The younger Edhi cannot possibly match his father's pace, where he personally met with people requiring assistance with issues from adoptions to ambulances. "I'm stretched", the struggling Faisal Edhi admits. But it is the personal, intimate grief he experiences at the loss of his father, that haunts him. Even so, there are things that excite him in enlarging the scope of the foundation's services, among them a new project to train midwives, nurses and paramedic staff at a hospital. That's the anticipatory part, the other part of his concerns relates to raising operating funds, entirely through voluntary donations from individuals. The foundation is struggling with a new challenge whereby Islamic charities have been undercutting individual donations. Additionally, Faisal Edhi accuses the government of interfering with the importation of ambulance vehicles. The foundation does have its critics, those who were dissatisfied that the elder Mr. Edhi took in abandoned babies, and saw no difference between aiding Muslims and non-Muslims, leading them to accuse him of apostasy. His own tribal community, the Bantva Memon ethnic group, refused often to greet his father. But he is determined to continue his father's policies including his refusal to accept donations from donor agencies, let alone any government. "It [the foundation] has always been supported by ordinary Pakistanis", Faisal Edhi insists. "I will not go to paradise where these type of people [religious and political groups] go. I will go to heaven where the poor and miserable people live", declared Adul Sattar Edhi before his death. "I have an impression -- I hope it's only an impression -- that the practise of killing political opponents has started spreading in Russia." An impression. Only a mere impression? Anyone daring to question the motives of the Kremlin and the methods of the President of Russia, let alone boldly independent-minded journalists burdened by an imperative of justice prevailing, takes their lives in their own hands when through free will and unstoppable indignation, they seek to challenge and oppose this President-for-life, by submitting theirs involuntarily to his, impulsively. For registering a new political movement Sergei Yushenkov earned the fate of being gunned down outside his Moscow home, the evidence that Mr. Putin's government plotted 1999 bombings dying with him, in 2003. The ghoulish fate of Alexander Litvinenko, who discovered too late that viewing haven in London a solution to fear, suffered agonies of pain for three weeks, infected with deadly plonium-210, a critic of Russia's Putin. Journalist Anna Politkovskaya, Putin's government, found him to be guilty of operating a police state and covering up war crimes, and she paid dearly for her authorship of such charges, shot to death while in an elevator in her apartment building, in 2006. Abductions and murders in Chechnya revealed by journalist Natalya Estemirova led to her 2006 kidnapping and execution. The death of lawyer Sergei Magnitsky who pursued a massive tax evasion scheme in 2009 led to the Magnitsky law adopted in the U.S. sanctioning those involved. 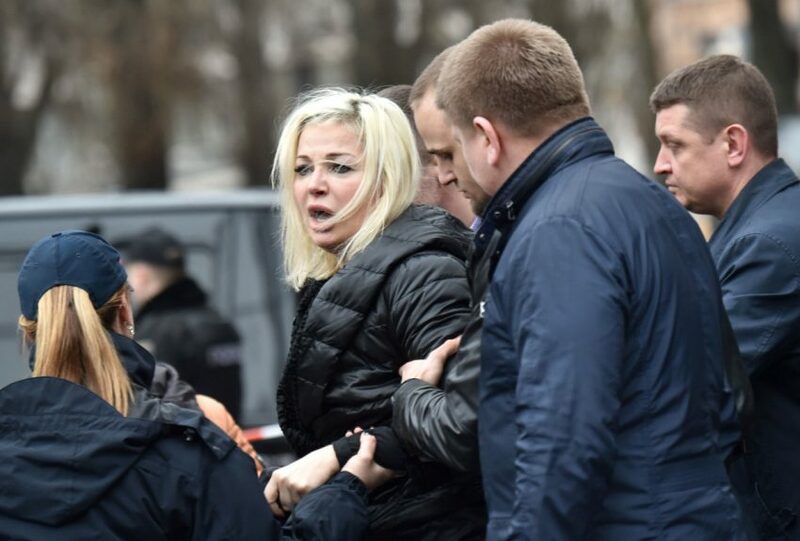 Human rights lawyers, Russian tycoons running afoul of Vladimir Putin, Russian reformers, protest leaders, they were all treated to very special attention by the Russian President, never living to tell their stories. A potential future president of Russia who had served as deputy prime minister, Boris Nemtsov was assassinated in 2015 after leading a massive street rally against Russia's military intervention in Ukraine, the act taking place in sight of the Kremlin, another mystery unsolved. plots to scrub out the lives of those who have the reckless temerity to challenge his authority. The man seems as unassailable to evidence as he is to accusations that his agenda is that of a mafioso diligently protecting his territory. Among most Russians, Mr. Putin's reputation has never wilted, held in admiration as a traditional heroic strongman. Now, Anton Gerashchenko an adviser to Ukraine's interior minister, has identified the assassin who shot Kremlin critic Denis Voronenkov as a Russian agent, 28-year-old Pavel Parshov, trained by Russian security services. 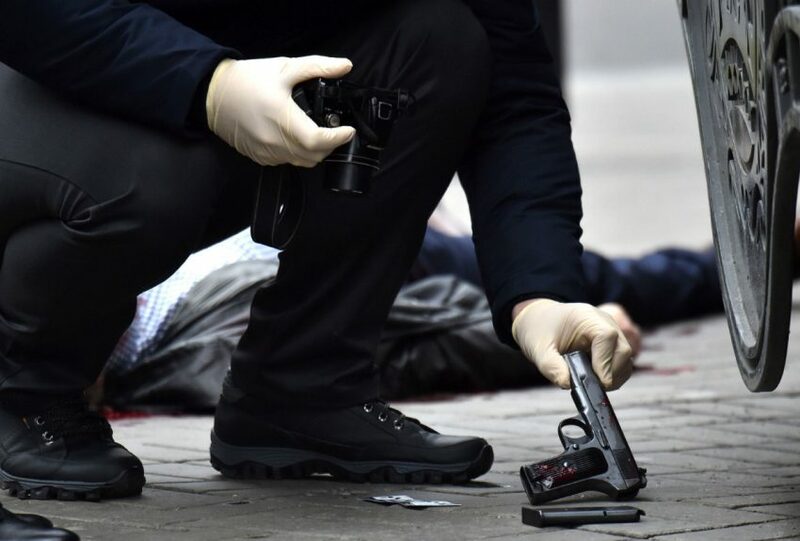 Formerly a Russian lawmaker and more latterly an outspoken critic of Moscow after moving to Ukraine, Mr. Voronenkov was shot in the back as he walked beside his bodyguard close to the entrance of a hotel in Kyiv's central district. Mr. Voronenkov was scheduled to appear before Ukraine's Military Prosecutor's Office, alongside another Russian fugitive lawmaker, Ilya Ponomaryov. And while the former's testimony will not be received, the latter's might be susceptible to reconsideration. CCTV footage of the attack was featured on Friday by the Ukrainian media showing Parshov shooting Voronenkov. The bodyguard, reacting, is also shot and in that interval the killer shoots Mr. Voronenkov once more. When the injured bodyguard pulls his weapon, opening fire on the killer, it marks his own end. President Petro Poroshenko termed the assassination an "act of state terrorism" while Russian officials deny, deny, deny, turning the tables to Ukraine itself being involved in the killing and attempting to smear Russia with the crime. "The three most targeted groups since 2006 have been the Jewish community, the Black community and the Lesbian, Gay, Bisexual, Transgender and Queer (LGBTQ) community. In 2015, the Jewish community, followed by the LGBTQ community and the Muslim community were the most victimized groups. The three most reported criminal offences motivated by hate/bias in 2015 were mischief to property, assault and criminal harassment. The Jewish community was the most victimized group for mischief to property occurrences, while the LGBTQ community was the most victimized group for assault occurrences. The Muslim community was the most victimized group for criminal harassment occurrences". "...O Allah! Count their number; slay them one by one and spare not one of them... Give us victory over the disbelieving people... Give victory to Islam... humiliate the ...polytheists... Destroy anyone who displaced the sons of the Muslims...Count their number; slay them one by one and spare not one of them... Purify Al-Aqsa Mosque from the filth of the Jews!" "Our country is very diverse. I think that we need to continue to build those bridges amongst Canadians, and this [motion M-103] is just one way that we can do this, by really understanding the issue and really listening to what Canadians have to say." "I'm really looking forward to the track that the Canadian Heritage Committee takes on this." "The word 'Islamophobia' can be used to mean both discrimination against Muslims and criticism of Islamic doctrine or practice. It is important that we not conflate the two -- religious people deserve legal protection, but religions do not." "People should not discriminate against individuals, but should feel quite free to criticize the doctrine, history, or practise of any religion." It is interesting that Muslims like to portray themselves as being victimized by an unfair society that fails to recognize their exceptionalism as faithful of Islam. Non-Muslim societies have an unfortunate penchant of characterizing Islam as an intolerant, violent religion that unfailingly promotes strife between people, destabilizing societies, inciting its faithful to proselytize whether by blandishment or violence, or long-term suffocating of indigenous cultures through sheer numbers of birth-rate inflation is irrelevant. The very same Muslims who feel entitled to complain that they are victims of racism and anti-religious bias are the same Muslims who sit complacently at Friday prayers in the proliferating mosques of Europe and North America listening to imams invoke against the infidels, the kuffars, the Christians and the Jews who have surrendered the right to live as virtuous human beings in their own right, by insulting Islam through their steadfast refusal to convert to the only true religion. Islam's goal of complete conquest of the world through converting those who insist on respecting the wrong religion, and those whose spiritual convictions are absent cannot be achieved until the parts of the world Islam views as "houses of war" are transformed into the "house of peace" that is Islam. Without achieving that monopoly of one religion and one religion only reigning supreme over the world population signalling the final success of conquest, the world-wide caliphate cannot arise. The great goal of that achievement does honour to Allah, the spirit of the almighty in its final, complete and irrefutable majesty. Those who do their utmost to halt the vaunted progress of Islam are enemies of light and champions of darkness. Which explains why it is that they must be vanquished and sent to the final solution to enable Islam to achieve its god-given purpose. So there can be no quibbling among the Muslim faithful over the sermons demonizing Non-Muslims. Entirely legitimate. What fails the legitimacy test is those same sinners and enemies of Islam defaming the Prophet and Islam, an intolerable assault labelled by the Muslim Brotherhood and its offshoots as the sin of "Islamophobia", a pathological condition that the Organization of Islamic Cooperation has dedicated itself to eradicating through introducing a motion to the United Nations to make it a criminal offence to indulge in Islamophobia, a criminalization effort that has not yet reached success. In Canada, most Canadians do not support the notion that the concept of Islamophobia has merit and that there should be a political, social, legal proscription against that concept. But the Liberal Government of Canada is complacent in its belief that the motion which MP Iqra Khalid introduced should be supported and passed, condemning Islamophobia. Completely oblivious, and perhaps deliberately so, that the motion represents the first in a connected thread of manipulations enabling Islam to be defended from criticism while it continues to agitate for hatred against non-Muslims. Condemn Islamophobia and all forms of systemic racism and religious discrimination. Quell the increasing public climate of hate and fear. Compel the Commons heritage committee to develop a government-wide approach for reducing or eliminating systemic racism and religious discrimination, including Islamophobia. MP Khalid referred to the heritage committee moving on from the approval achieved in a Parliamentary vote that took place on March 23 -- resulting in a 201 to 91 acceptance of the motion -- now proceeding with the collection of data on hate crime reports and to conduct assessments for affected communities' needs, with findings presented in an eight-month period. Previous to the vote, Conservative MP David Anderson recommended "Islamophobia" be removed and in exchange the motion read that it would "condemn all forms of systemic racism, religious intolerance and discrimination of Muslims, Jews, Christians, Sikhs, Hindus and other religious communities", but this reasonable and realistic alternative was rejected out of hand by the government-leading Liberals. "Initially, she must have been terrified of every knock at the door." "But time went by and everything seemed fine. She didn't want to keep him cooped up in the house. He'd already gone through so much and was probably mentally quite damaged." "Presumably, it started with getting a breath of fresh air. Then she became a little braver. It snowballed. By the end, there are reports of her taking him to church and the two going into town on the bus together." "[Gould] held on to Bill for too long. Others who sheltered people moved them on. She just loved him too much to let him go." Louisa Gould had lost her son Edward who served with the Royal Navy in the Mediterranean during the Second World War. And then she was presented, a year later, with a possible surrogate. Not that the young man, a Russian pilot in his early 20s shot down by German fire in 1942 was meant to be a surrogate. He found himself in Jersey, the Channel Islands, at that time occupied by the Nazis, where he was taken as a prisoner of war. The young Russian made his escape from the prison camp Immelman. In his search for safe haven, he was taken by a sympathizer of his plight to the widowed Louisa Gould. She welcomed him into her home and hid him in her house in Millais in the island's northwest for close to two years. His name was Feodor Burriy, but she gave him another name, feeling that 'Bill' would suit him better under the circumstances. He was given a room of his own and her dead son's clothing, altered to fit him. She taught him to speak English, in an effort to shield his Russian identification from detection. He was to be introduced as a nephew; alternately a friend of the family. Before long "Bill" felt comfortable in his new life, successfully hiding from the German occupation. Another of Louisa Gould's sons, studying in Oxford and joining the Royal Air Force, along with her brother, her sister and others in the village knew who "Bill" really was. 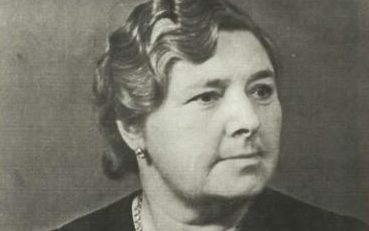 Twenty months on, rationing was increasing and tensions rising, and the identity of Louisa Gould's 'nephew' was revealed through a letter sent to a local academic. Who forwarded the letter on to German authorities, and at the same time warning Mrs. Gould that her secret had been revealed. That warning gave her the opportunity to move the young Russian to a safe house. A succeeding search of her house by the German occupying authority, however, unearthed a Russian-English dictionary and a Christmas gift tag with 'Bill's' Russian name. Louisa Gould was sentenced to prison for a two-year period; taken by cattle truck to Ravensbruck concentration camp in Germany. Eight weeks before Ravensbruck was liberated, this woman was sent to the gas chamber where she perished, aged 53. As for Bill, he was never recaptured, eventually making good his return to Russia, post-war. He married, remaining in communication with some of the residents of Jersey. In 1994 he travelled back to the island to unveil a plaque recognizing the courage and determination of Louisa Gould to foil the Nazi occupation. While she was at Ravensbruck this woman befriended other camp inmates. She did her best to instill hope in them, and prepared them for their future freedom by teaching them to speak English. "The fear is legitimate. It's something I worry about." "It's very hard for us now to sort of reject that [new census initiative to identify Americans originating in the Middle East or North Africa] wholly, because we've been working on it for decades." "To be a community that’s invisible has been a real problem for us." "Whether it’s a local school district trying to make decisions about English-as-a-second-language classes, or Voting Rights Act protections, or health research . . . we’d love to be able to say, 'This estimate is based on this data'. It means we could have our category the same way 'Hispanic' does. . . . People will be able to finally see themselves in the census." "We've been telling our members: We understand why you're concerned, it's a legitimate concern. Let's just proceed with caution." "I would feel some wariness because you don't know exactly the consequences of what's coming next after you check the box." "I don't want to fool myself to think that checking another box [other than the new one] is going to protect me in some way." "This is a big deal. The last time they did anything like this was with Hispanics before the 1980 Census." "Some Iranians are very Iranocentric; they really want it to be known that they are separate from Arabs, and when you’re talking about race, Iranians are quick to remind you that Iranians are white." "But I think it’s good to have some kind of minority status, and if that means that we’ve got to get together with others from the same region, I think there’s some good that can come of that." "When you first come here to America, you are kind of a third-class citizen. People have a tendency to put their heads down and not make any noise and just get through their daily lives. But then you have their children who grow up here and say, 'How can I sit back and complain about everything being run by old white men if I don’t get involved?' It’s realizing that your voice counts." For decades Arab groups in the United States have advocated that the U.S. census add a special box to identify the origins of mostly Muslims who have originated from the Middle East and North Africa. The proposed box is their initiative to be included on new census forms and it would be labelled "Middle East/North Africa". Its purpose, to enable the Census Bureau to gather data to identify the numbers present in the United States from those regions. Now, their efforts have borne fruit. The Census Bureau, for the first time, on February 28 recommended the inclusion of the new category. The Office of Management and Budget is now reviewing the recommendation and is expected to make its decision later in the year. A new category appearing in the 2015 census was a test pilot where people of Middle Eastern or North African descent could check off the identifying box. The addition of the box is now viewed, according to the Census Bureau, as an optimal way to obtain a count of Americans more accurately than currently pertains. According to the Arab American Institute, up to 3.7 million people have Arab roots, living in the United States, while the Census Bureau's estimate gives the presence of 1.8 million Arab Americans, according to data they have accessed, who live in the United States. The disparity is a good enough indication that no accurate national numbers exist. And since the numbers can be extremely useful in investigating, as an example, whether particular medical conditions are more common than not in people of that background, accurate numbers represent a working tool to validate already existing suspicions of certain ailments striking people of particular origins. Whether perusing numbers of the Arab American Institute, or those of the Census Bureau, both reflect immense growth in that population base, since 2000. And both the Arab American Institute and the Census Bureau, now support the usefulness on the 2020 census of the new box, representing people originating from 19 countries in the regions in question. The much-sought-after box inclusion has now, however, despite vastly pre-dating the presidency of Donald Trump, who has repeatedly expressed his opinion of the need for a Muslim registry for people living in the United States -- but for reasons of security as a backlash against internal and external threats from Islamist fanatics -- gained a problematical presence. Which juxtaposition now makes the very people who have agitated for the box for decades, more than slightly unsettled that it may finally become a reality. "There are many occasions of something being simultaneously invented in China and elsewhere, or being invented first in China and then later making it overseas. But then U.S. media reports only on the U.S. version"
"This leads to a misperception of those ideas having been first invented in the United States." "I think while China is definitely making progress in artificial intelligence systems, it is nowhere close to matching the U.S."
"It is indisputable that Chinese authors are a significant force in A.I., and their position has been increasing drastically in the past five years." "About 40 per cent of the leading b AI research papers in the world are published by the Chinese. The really top-level AI experts are still those from North America and the UK, but the Chinese are expected to get better and better with their quick learning and the improvement of platforms they work for." "The large number of science and engineering college students in China give the country a unique advantage in AI development." "No one sort of overtly says that, because the Pentagon can't say it's about China, and the tech companies can't. But it's there in the background." The Chinese government in Beijing has a close relationship with its nation's commercial technology aspirations. And just as Beijing has its interests in all manner of Chinese corporations appearing as an extended arm of the government, there is no denying that in the United States, government has its links as well with its advanced technology companies. Those links may be there, but the IT companies are loathe to advertise their working relationships with the U.S. Defense Department, since they value their access to the large Chinese market. But the American deputy secretary of defense relies on advisers in the A.I. industry to further plans to make use of artificial intelligence on the battlefield. Robert O. Work, must have been taken aback when those he relies upon as experts unparalleled in their field, disabused him of his trust by informing him that "the smartest guys are at Facebook and Google". And though they may not have articulated it, in China, as well, collapsing the U.S.'s traditional monopoly on the burgeoning technology. The Chinese web services company Baidu had managed through the expertise of its researchers to beat Microsoft in the creation of software modelling human skills in interpreting speech. The Chinese had done so, accurately and expeditiously with the Chinese language, beating out Microsoft by two years in advance. Last summer, the China Daily linked to the state, revealed the development of a cruise missile system using A.I. The missile that the United States Navy is planning to deploy in 2018 in an effort to manage Chinese military strength in the Pacific motivated China to develop that "high level" of A.I. for their cruise missile system. "They are making their machines more creative", John Arquilla, a military strategist at the Naval Post Graduate School in Monterey, California, observed. That's the essence of pride in believing themselves to be the best, the brightest, the most innovative and advanced. A year ago, Chinese technological expertise advanced the Sunway Taihu Light online, the world's fastest supercomputer. China already had the distinction of having designed an earlier model that was acknowledged to be the world's fastest supercomputer, and now they've outdistanced that one. Machine-learning research is accelerated with high-performance computing. And its military applications have been foreseen, augmenting typical defence functions like breaking encryption of adversaries. "We're going to distribute bread at a much cheaper price and in larger quantities than before." "It's no longer going to be about the exploited and exploiter, no more boss and chief. We're all going to become productive, living and producing in equality." "Seeing all this makes me want to cry." "I want to eat a sweet roll but there aren't any and what products exist are too expensive. I guess I'll have to settle for a coffee." "What I have at home is enough to give them [her children] a plain arepa [traditional white corn cake], and it's very little for each one." "And for me, I don't care about going without eating. As a mother you're always thinking about feeding [your children]." In Venezuela, vegetables and tubers have taken the place of meat and chicken, which used to represent the most sought-after items in most shoppers' grocery carts; the former available in modest quantities, the latter rarely seen for sale, and out of the financial reach of most Venezuelans. There is an acute shortage of basic food staples, and household items like toilet paper, as well. The socialist government that once boasted of itself as generous to the nation's poor and able, through its oil riches, to subsidize heating oil for its neighbours and even poor Americans, can no longer feed its people. Venezuelans now report that they have taken to skipping meals and when they do eat, they eat less. A recent survey had respondents reporting that they now eat two or fewer meals every day. The number has tripled from a similar survey undertaken the year before when in 2015, 11.3 percent reported eating less, and in 2015 that number had risen to 32.5 percent cutting out meals. 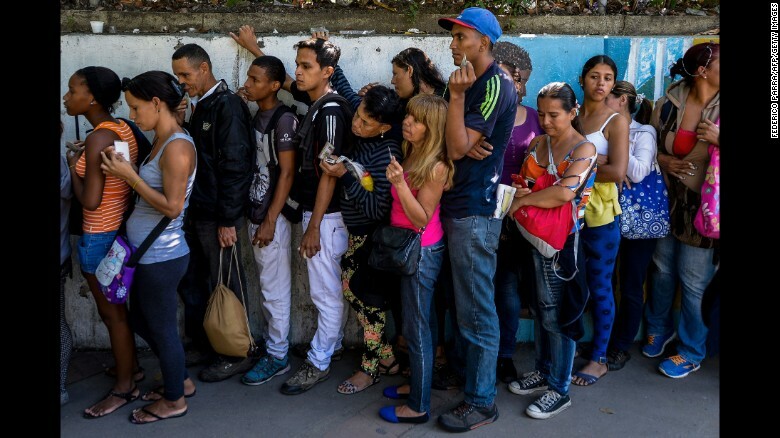 The authors of the study, using the collected data, estimated that 9.6-million Venezuelans eat two or fewer daily meals. The result of which is that malnutrition is on a steady rise. 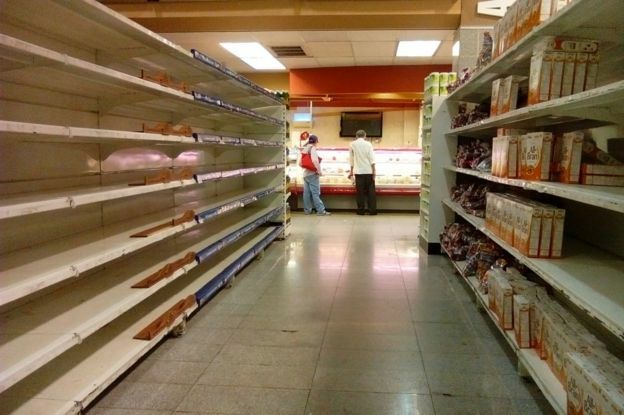 The government of Venezuela must import much of the food supply for its population, where once agriculture provided the nation with much of the food they needed. The agrarian revolution that accompanied the Bolivarian Revolution of Hugo Chavez had laid desolate a once-thriving economy, and a country that has oil riches failed to reinvest in infrastructure and updated refineries. Taking as its model the Communist Manifesto, the failures that were seen in revolutionary socialism in Russia have been replicated in Venezuela. The government has taken to invading bakeries, coopting them from their owners to turn control over to neighbourhood committees sympathetic to the government, who are then expected to bake bread from the government-distributed bags of imported flour. Bread, under these new arrangements, is theoretically supposed to be ready for sale at the crack of dawn in a "bread war" enforcing price controls where a loaf sells for roughly 28 cents and less than ten cents on the black market. Bakeries that presume to try to bake unauthorized types of luxury breads to sell at higher prices in an effort to earn a modest profit are subjected to spot checks by government agents visiting around 700 bakeries, and if deviation from the government-ordered production schedule is detected, those responsible are arrested. Two people were arrested for producing brownies instead of bread, for sale, to people willing to pay slightly more for food items out of the ordinary. Where fresh milk and regular rice are regulated to be available to the public, fancy yogurts and precooked rice have made their discreet appearance at higher cost, provoking government rage, since such specialty products are out of the financial reach of most Venezuelans and protests by hungry people are not popular with government sensitivity. Bakeries were recently ordered to set aside 90 percent of the flour they are apportioned for the production of French bread and a European style of baguette popular with Venezuelans called "canilla". The price controls that President Nicolas Maduro inherited from his predecessor, Hugo Chavez, who introduced them to hurt businesses owned by political opponents of his regime who attempted a national strike to force him from office, are seen to have initiated the failure of Venezuelan industries. The government, with its lower revenues with the collapse of oil prices, is incapable of importing as much food as the country requires to keep the population hale. Representatives of the baking industry accuse the government of importing a quarter of the 120,000 metric tons of what the nation's ten thousand bakeries require monthly to keep pace with demand from hungry Venezuelans. "You can say 'I'm not a Muslim', but most people can't say 'I am a Christian'. There is an emptiness. And I think that's a society wide thing." "It's not just one group. It's a very wide problem." "People like Hoecke [Bjorn Hoecke, Alternative for Germany party] are pushing against this thing [exploiting the identity taboo in German post-war culture]." "He knows to put his words right there." "[Germans are] the only people in the world to plant a monument of shame in the heart of the capital [Berlin, memorial to the Holocaust]. Identity is the question [of the day for German society]." "Germany needs a positive relationship with our identity. Because at the foundation of being able to move forward is identity. The foundation of our unity is identity." A typcial street scene in Bad Godesburg. Strange, that. German Jews up to the mid 1930s had convinced themselves they were German first, Jews as an afterthought; though they were proud of their heritage, they were fiercely proud of being German. German Jews felt superior about their full integration into German society, its cultures and its values. They identified ultimately with their German status as citizens. The intellectual culture of Germany, its language, music, art, laws and politics was quintessentially Jewish. The unity that German Jews experienced as being one with their ethnicity and citizenship was profound. And what a rude awakening it was to discover their ethnicity, their religion, and their pride in the culture and its values were not theirs after all, when the Third Reich made its fateful distinction between Semites and Aryans; the former despicable, deformed and degraded grubbing lice infecting the world, the latter representing pure physical grace and beauty; blonde, blue-eyed, statuesque, strong and courageous. None of the fine attributes of Aryans were invested in the grotesque physical specimens that identified Jews as the vermin of Europe. The penance of democratic Germany seen in the 'monument of shame in the heart of the capital', is the hairshirt that Germany is meant to wear in perpetuity for its adoption of fascism and its success in eradicating six million Jews from the face of the Earth, in a genocidal operation of stunning intent and efficiency to which manpower, treasury and rolling stock were devoted at a time when the Axis powers led by Germany mounted their challenge to the free world represented by the Allied powers which eventually destroyed the Third Reich's ambitions. A result of the ignominious horrors discovered in the death camps with their incinerators and half-dead survivors was universal blame and shame leading to defining German identity became synonymous with ferocious inhumanity on a scale that shocked the world and sent German identity reeling for cover. Now, there is a struggle in Germany for its citizens to rediscover who they are, what they belong to; certainly not the shameful history of Nazism. Germans, eager to make amends to their dignity and their reputation, have become tolerant and eager to please. Their initial enthusiasm in embracing the invitation of their redoubtable Chancellor's invitation to refugees and haven-seekers from the world of Islam has abated considerably under the real weight of supporting an influx of millions first through immigration, then through absorbing a substantial number of those flooding Europe. The nation that once murdered six million Jews of Europe now is home to six million Muslims from across the Middle East and North Africa. Enthusiasm has waned among Germans, still struggling to find their pride in German identity harking back to its cultural heritage before it went berserk under the National Socialist German Workers Party. Germans now see that identity and the culture and the heritage smothered by the presence of a foreign culture, heritage and religion. No longer quaint, but threatening to the stable presence of their own, where the familiar has become exotic and strange and intrusive. Buch, Germany, remains an island not yet breached by the tide of refugees. It does have a small refugee centre in mid-town where a few hundred people live, but nothing comparable to other German cities, towns and villages, crowded with foreign elements, intruding on the hospitality of Germans and committing crimes both large and small as they begin to accommodate themselves to their new surroundings, discovering how different the culture and its expectations for conformity to German values are. The relative paucity of Muslims in Buch does not warrant that supermarkets bother to stock halal meats. But it does exist fairly close to other places whose familiarity with the past appears to have been hugely diluted by the presence of Muslims representing the present. Townsfolk feel the borders of their nation have been lawlessly trampled. And of course, the presence of hundreds of thousands without identifying papers, without proper visas to enter but with the invitation of Frau Merkel put the stamp on that impression. Buch citizens have voted largely for what is termed the far-right political party in Germany. Their vote expresses their distaste and their fear of becoming like other places in Germany where the influx of foreign elements has frightening implications in the fact that they now outnumber the indigenous residents of those German towns, jealous of their heritage and their culture, suddenly under threat of disappearing under the weight of strange people with a strange religion. "We will allege he has utilised the Internet to perform services for ISIL Firstly, by researching and designing a laser warning device to help warn against incoming guiding munitions used by coalition forces in Syria and Iraq." "Secondly, we will also allege that he has been researching, designing and modelling systems to assist ISIL's efforts to develop their own long-range guided missile capabilities." "We believe he has networks and contacts in ISIL - not necessarily just in the conflict zones, but in other parts of the world as well and he has been relying on them to pass this information." Australian Federal Police Commissioner Andrew Colvin. "One argument developing is that Muslims cannot be trusted, they are all bad, and with so many in our town, it was only a matter of time before trouble raised its head." "The other point put forward is that hatred is not the way to handle this situation and one man's actions should not condemn the entire town's Muslim population." "Family members had access to a significant amount of funds in an Australian bank account and were suspected of using international travel cards and a computer consulting company based in the Middle East to remit funds out of Australia for the use and benefit of Islamic State in Syria." "They've got shops in town -- coffee shops, a new kitchen shop, and the younger ones work in the big stores like Woolworths." "They've added to the culture of the town. It's a very friendly community." Australians in the small town of Young appear, for the most part, to have accepted the presence of a sizeable Muslim contingent mostly from Lebanon, who have settled in, making the town their home and by all accounts, adding their culture to the one that the white, working-class residents value, in the area known for its cherry orchards. 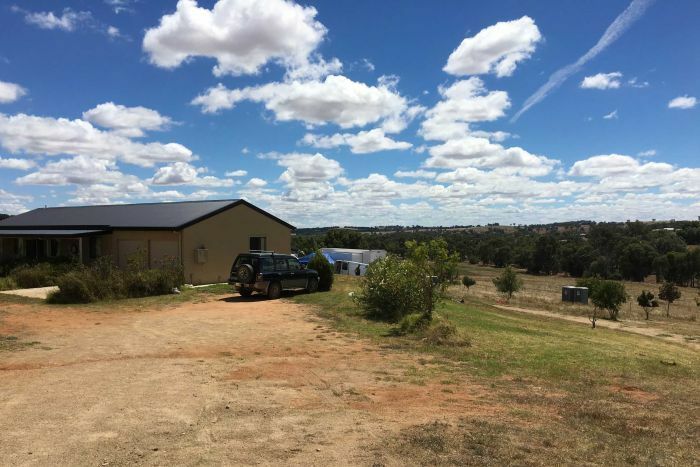 It is certainly a more bucolic area for these Muslim Australians, than for those who are attracted to Australia's teeming cities. But like every other Western democracy that has taken in its share of Muslim immigrants and refugees, Australia has also experienced the discomfiture of discovering that within the Muslim population there are those, even those born in Australia, who have responded to recruiting efforts for Islamist jihad. Homegrown extremism is a problem for Canberra. In 2014 it raised its terror threat level, and prevented a dozen terror attacks internally, charging 61 people with terrorism. Four attacks did take place, and in 2015, a 15-year-old Muslim murdered an employee of the Sydney police. Concerns over homegrown links to terrorism have been spurred anew by an Australian citizen with the name of Haisem Zahab arrested on February 28, when his property in Young was raided. He stands accused of researching and designing a long-range guided missile and laser warning device, presumably for militants with Islamic State. He and his family were under suspicion of links to Islamic State of Iraq and the Levant for a year-and-a-half before his arrest. The family had a home in Sydney which was sold and its proceeds suspected as having been sent to Syria. This was not the first time that Mr. Zahab had come to the attention of authorities, having pleaded guilty to drug and firearms charges on a previous occasion. He was known not to interact with others in the local Muslim community, obviously an outlier. But the revelations about his commitment to violent jihad and his arrest have caused concern among the Muslim residents of Young. They have lived in the community for over two decades, and many of them found employment on the cherry farms. An expert on terrorism and radicalization at Australian National University ventured his opinion that the rural character of Young, a two-hour drive from the closest major city, identified it as a potential venue for anyone interested in surreptitiously planning activities counter to how they present themselves, as ordinary Australians who just happen also to be Muslim. The arrested man, Haisem Zahab, a trained electrician, found his niche in life as an enabler of terrorism, involved in providing jihadists with his expertise geared toward producing the wherewithal to develop missiles, an enterprise requiring both technical and high-tech capability. Found guilty as charged, with two foreign incursion offences, carrying a maximum sentence of life imprisonment, he will have ample time to contemplate his decision to throw in his lot with ISIL. Australia has provided roughly one hundred of its citizens to engage with terrorist groups in Syria and Iraq, fighting the jihadist struggle for universal conquest, according to figures released by Australian authorities. If and when they return their presence within the country will provide additional reason for concern and heightened intelligence. That, to be balanced against the very real fact that most of Australia's Muslim population have no interest whatever in betraying their citizenship. "The more than 70-odd families that are there [in the rural community of Young] are hardworking, productive members of the Young community", admonished Dr. Jones, the expert on terrorism and radicalization.